Graph Theory Basics, and Speech Recognition with Neural Nets – Hobson's Blog – A blog about Data Science, Python, AI, ... basically life. Here are the highlights from this week’s “Talking Machines” podcast from @tlkngmchns. Thank you Thunder for turning me on to this awesome podcast! 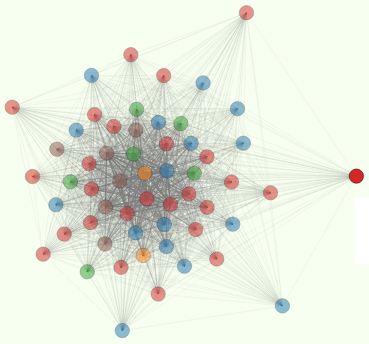 Kyle Adams (Harvard) started the podcast with an overview of graph theory. The only thing I got out of it was that “graph limits” are a recent area of research in graph theory – techniques for dealing with large networks. Katherine Gorman and Kyle Adams answered a caller’s question about selecting a model for a given Data Science problem. Kyle recommends first trying simple, off-the-shelf implementations of simple algorithms like Logistic Regression, Support Vector Machines, or Random Forests. Use probabilistic matrix factorization and SVD extract latent features. In the second half they got to the meat of the podcast, an interview with George Dahl. Dr. Dahl (just defended) shook up the world of speech recognition by employing neural nets in place of Gaussian Mixture Models. He used this technique to win the Kaggle challenge posed by Merck. He later employed this technique to improve upon speech recognition algorithms in Bing at Microsoft. The open source package Kaldi has recently incorporated neural nets into its speech recognition algorithm. This was the only open source implementation of Dahl’s approach that he mentioned. The others are at Microsoft, IBM, and Google. Abdel-rahman Mohamed and George Dahl at Toronto worked on phone recognition for TIMIT. Lee Dang at Microsoft understood TIMIT, a dataset of only a few hours of speech segmented into phones. Phones are actual utterances of phonemes. Lee hired Abdel and George on an internship to try their technique on large vocabularies (Bing searches). It continued to work well once they solved a low level bug in the code, a hard-coded symbol/phone(?) limit of 1250 or 4000 bits. Bioinformatics ignored neural nets until George Dahl and Ruslan (Rus) Salakhutdinov won the Merck challenge on Kaggle. Russ Sulukudena 15% improvement on baseline by Merck Bayesian Neural Nets useful on large datasets as opposed to conventional multilayer perceptron Neural Nets. NNLM: Neural Net Language Models, N-gram Language Model? Dong Yu – fixed hard-coded 1250 limit on 4-bit symbols in the encoder.